Set in the future, people don’t age past 25. Individuals must work to earn more time, and precious minutes are currency for everyday items. When one man finds himself with ample time on his hands, he must run from the corrupt police to save his life. As a self-professed film snob, this is not the sort of film I’d normally find myself watching, as it has two strong marks against it: Justin Timberlake and Amanda Seyfried. Still, I admit that the story interests me in the same way that Children of Men (2006) did, though it doesn’t appear that In Time is nearly as good. 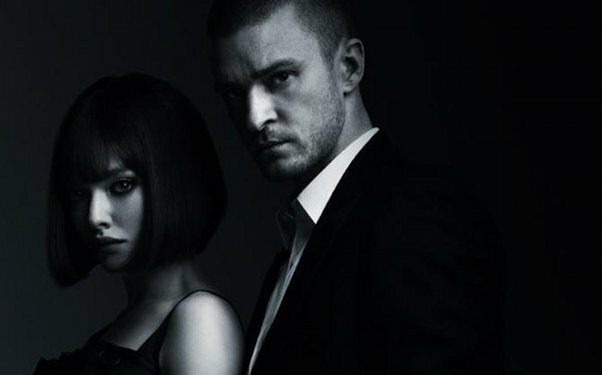 If it were, it wouldn’t star Justin Timberlake and Amanda Seyfried. But anyway. The movie is directed by Oscar-nominated screenwriter Andrew Niccol (The Truman Show), whose next film is the highly anticipated The Host, starring Saoirse Ronan and based on the popular book by Twilight author Stephenie Meyer. The first time I saw a commercial for this movie, I thought it sounded really stupid. However, I’ve begun to recant a little bit and say that it’s really a fairly interesting premise. Ultimately, the success of the movie will be based on the quality of the story, but I’m intrigued. Even though I probably won’t go see it in theaters, it sounds interesting. I don’t agree that the success will depend on the quality of the story (though I wish that were the case). I think if this movie is a success it will be because Timberlake is in it (it’s why he commands a high salary, I’m sure).